Leonard Drake abides by a philosophy of promising “Optimum Skin Health with Maximum Results” and is affiliated to the International Dermal Institute in Los Angeles (the world’s leading postgraduate centre for skincare therapy). Leonard Drake’s regional network is Aster Spring, located in Hong Kong, Bangkok and Malaysia. 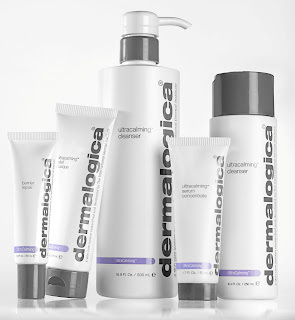 Treatment results are achieved by advanced techniques, using medical-grade skincare equipment and products from Dermalogica, the leading professional skincare system in the United States. 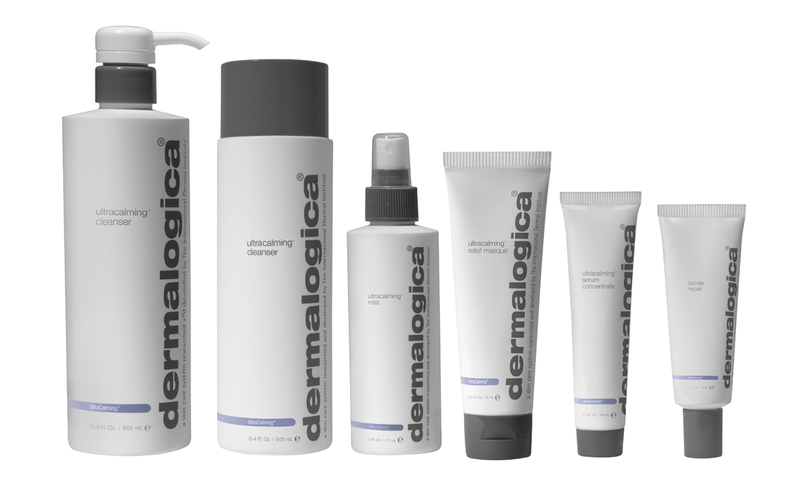 Leonard Drake has a new line of UltraCalming Treatments to pave the way for your skin’s next best line of defense. Say bye bye to redness and skin irritation forever. Synonymous to sensitive skin treatments, Leonard Drake’s new line of UltraCalming Treatments promisea whole new experience in treating, soothing and healing sensitised skin. What is the UltraCalming Treatment all about? I had my appointment booked at the Centrepoint branch and the facial treatment I got to try out was the Advanced UltraCalming Barrier Defense Facial - $200 which duration is approximately 75mins. You know how when you arrive at a facial or beauty salon, they will serve you some nice, hot tea? Well, it is different over here at Leonard Drake, instead you would be served with what looks like plain warm water. But do not be fooled into thinking it's just normal plain water as it is actually a glass of Alkaline water. Alkaline water has many health benefits; it aids to neutralize acids and toxins stored in the body. and once these acids are neutralized, they can then be removed by the body. Prior to the facial, my therapist Kelly, would perform a 3 step skin analysis which consists of a consultation, skin scanning and then face mapping. Being a first-timer there, I had to fill up a skin survey. It consisted of questions ranging from your skin concerns, brand of makeup you used to your pain threshold. This was followed by a skin scan which is done with the skin analyzer machine which comprises of a unique method that uses special UV light which will enable the user to see their own underlying skin problems. There is a mirror below the machine where I could see my reflection and observe the colour change on my skin once the UV light comes on. While Kelly will observe from the other side of the scanner and then use the Skin Scope Chart to explain my underlying skin problems. Blue/white areas: normal healthy skin - this is quite rare as most of us have one form of skin problem or another. Because I usually take in only 3-4 glasses of water, Kelly pointed out that my skin is a little dehydrated (violet spots) but oily especially around the T-zone area (orange spots). 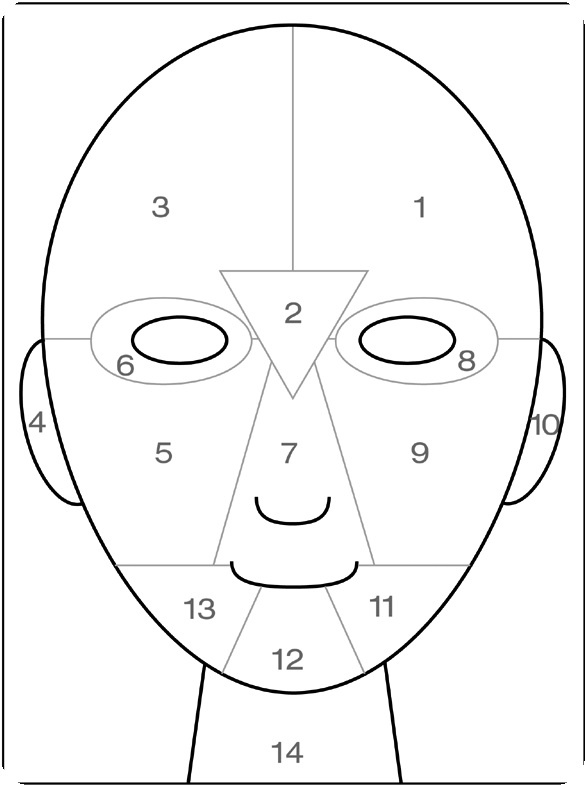 The last step of the skin analysis would be the face mapping which would be done in the privacy of my therapy room. And now, it was time for the treatment so I was brought to their dressing room area where I got changed into the treatment gown. After getting comfortable on the treatment bed, Kelly proceeded to perform the face mapping analysis. 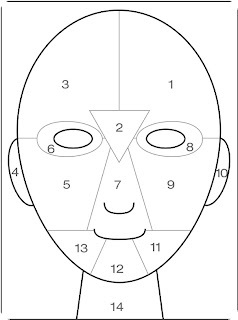 The Face Mapping approach is a combination of Western and Chinese skincare analysis techniques, where the skin provides an indication of any underlying health conditions. Doesn't this remind you of foot reflexology? She checked the areas near my temples and sides of the face and explained that these areas would show stress signs first. But as my skin was pretty clear there, it meant that I was not stressed out. Haha! If I had sinus, the area around and under my nose would be prone to white heads and black heads. And constipation problems would reflect on my forehead whereas pre-menstrual pimples will pop out on your chin area. After the face mapping, she concluded that my T-zone was congested. Sadly, I am not a single bit surprised. As my T-zone area tends to be more oily, it is a breeding ground for black heads and white heads. Kelly begins by removing my makeup through double cleansing. She does a scrub after that, I think I do recognize that scent. It's the Dermalogica Microfoliant she's using on my skin. Next, I get a nice, relaxing shoulder and upper back massage before the most dreaded part of the facial begins. Yes, I'm referring to the extractions! However, this is the VERY FIRST time I did not tear at all during extractions. Despite putting "Medium" for pain threshold in the skin survey, Kelly was extremely gentle with my skin and she used a soaked cotton wool for extraction around my nose area. Some other salons use a piece of tissue to squeeze out the blackheads around my nose and it tends to hurt more. So yes, I was impressed that I did not drop a single tear during this extraction session. Following that, she applied a serum and used an icy cool roller around my face. This is the highlight of the facial because the cold surface felt very soothing on my recovering skin. Once that was over, she applied anti-septic solution onto my skin to prevent infections in my freshly-squeezed pores. Anyway, after the treatment, I was given sample sachets of their new UltraCalming products as well as those off the current range to try out. Why go for the Leonard Drake UltraCalming Treatment? This is a facial treatment catering specially for those with sensitive skin. However, those with other skin types may try it out or see what the trained consultants at Leonard Drake recommend after conducting a skin analysis with you. Environment: 4/5 Leonard Drake salons always look clean and neat. Facilities: 3.5/5 Not too bad. Though the treatment rooms are basic and modest but still comfortable enough for me. Not much noise disturbance either from the other rooms. Treatment: 3.5/5 - The face & shoulder massage towards the end was good enough to cover up for the lack of extras like hand massage or parafin waxes and eyebrow trimming you usually receive at other salons. for reactive, highly sensitive, dehydrated, sensitised and allergy-prone skin. aggravated and irritated skin should try this treatment. The new UltraCalming Treatments are now available at all Leonard Drake Skincare & Health Spa centres in Singapore, including its new outlet (nex @ Serangoon Central).